Remember back on the 10th, I mentioned this little place in Elk, California called Griffin House Inn? From that post, I got an email from one Ashley Jacoby from a company called Explore the USA.com. You know that I rarely, RARELY, do any advertising for anyone and I'm not doing any now, BUT I wanted you to see this because I think it's one of the coolest things I've seen. The page she referred me to is called Tree Camping In Elk California. If you're a camper and I know most of you are, this is (I don't normally repeat myself) one of the coolest things I've seen. 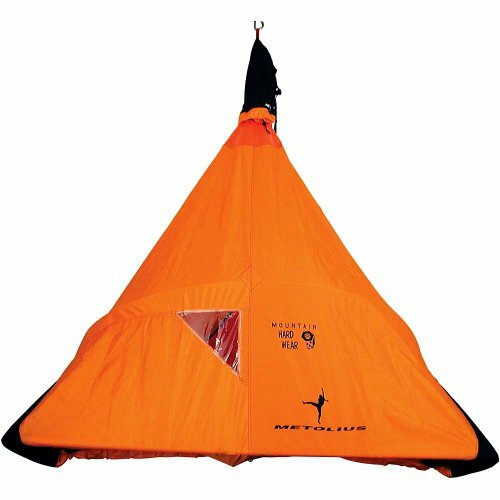 This is an outstanding portaledge tent designed to withstand the most intense conditions. Originally designed for rock climbers this is an amazing tent to start out with if you want to begin your adventures in tree camping. Go out and take a look at the website. Hang it high (if you're not a chicken like I am) or close to the ground. What a way to camp. I am going fishing this week, too. Cool. And only one left in stock...so act now! That Inn looks like a place I'd stay. But you could have the tent. True story that I will have to finish some time over on my blog. I am all for Bed and Breakfast now!